Metal rod telescropes from 36-66 inch or 66-120\"
I bought this rod in the store. It never caught my eye online, but it's very beautiful in person.It is sturdy, my boys pull on the curtains all day and it's still intact.Only bad thing about this rod is that if you extend it as far as it will go, it does sag in the middle. :( It looks pretty bad. I am going to replace this with the larger size. Home territory searches the web to find the best prices and availability on Window Hardware and related products foir your home like Better Homes and Gardens Boule Bronze Curtain Rod, 1" rod diameter. For this page, related items include products we find that match the following keywords: "Window Hardware" at our vendor partner Walmart - Click More Info / Buy Now to check for price rollbacks!. 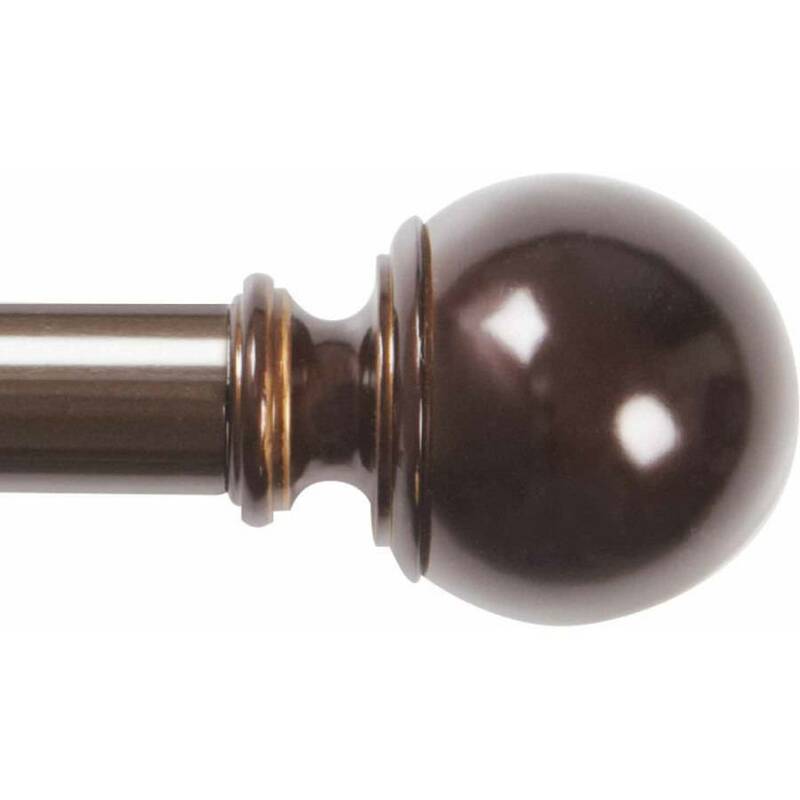 Better Homes and Gardens Boule Bronze Curtain Rod, 1" rod diameter is one of 144 Window Hardware and related products available for sale through HomeTerritory.com, If you have any questions on this product, please give us a call at 734-971-1210 during the hours of 9am - 5pm EST for assistance. Thank you for shopping at Home Territory, the home furnishings superstore!